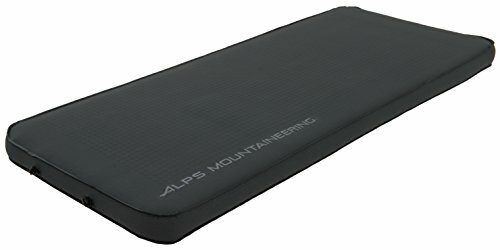 No matter where you are, the new Outback Mat from ALPS Mountaineering is going to make you think that you are at home in your own bed. This 4” thick, super comfortable air mat is sure to give you the best night sleep possible. If you’re looking for the benefits of an air mattress without the hassle of air pumps and cords, the new Outback mat has you covered! No need to worry about hand pumping or noisy pumps - the Outback Mat inflates itself. Two one-way valves make inflation quick and easy. When you’re finished with the pad, these same valves can be fully opened for easy deflation. It’s vertically-cored foam design makes rolling and storing the mat easy all the while helping to minimize weight. The use of 30D elastic fabric on the top creates a super-soft feel, while a 150D fabric bottom makes the mat easy to clean and extremely durable. Stuff sack and repair kit are both included making the Outback Mat all the more convenient and ready for wherever your plans may take you!